Please see our calendar of events for more details about events as they become available. 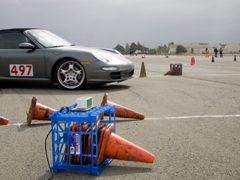 Autocross is a sport where you try to drive around a course in the shortest possible time. The course is laid out in a big empty parking lot and outlined by orange plastic cones. 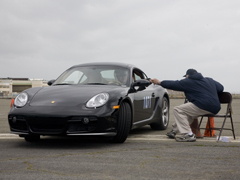 This is probably the safest and least expensive way to drive your Porsche at the limit. We emphasize safety, fun and speed. Every run is timed electronically and time is added for each cone tipped over. You can measure your progress throughout the day, and possibly earn bragging rights. 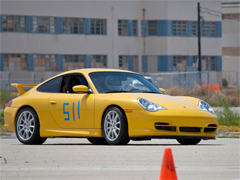 Autocross is also a driver education class; there are qualified instructors available at each event. 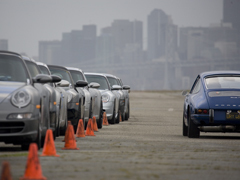 The location for this event is Alameda Point. 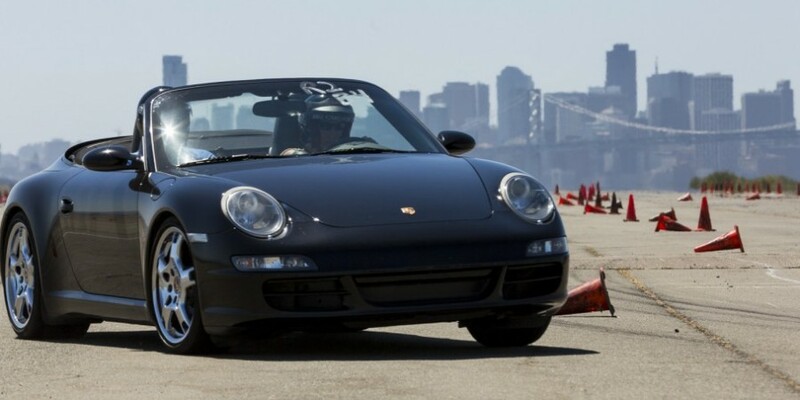 We use a decommissioned runway on the former Alameda Naval Air Station. The site doesn’t have a formal address, but if you set your GPS to the intersection of Panoramic Drive and West Red Line Avenue in Alameda, CA, you’ll get there. Access to the site is through that gate at the end of Panoramic Drive. New Member Mixer at Steelhead Brewing Company in Burlingame! This is a 3 day event. We will be running the 5 mile course. This is the 3rd year for this exceptionally fun event all through the backroads of Marin, Sonoma and Mendocino counties with a scenery to die for. 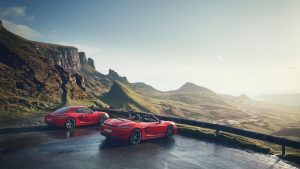 This is homage to our nationally recognized but local to us racing outfit with deep heritage in Porsches. We will enjoy a exciting run on our way to sit through their tour of this racing institution while enjoying our group lunch. 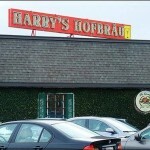 Harry’s Hofbrau 1909 El Camino Real, Redwood City. Come join us in the bar area; look for the table w/ Porsche peeps. Some of us have dinner, some just imbibe and talk shop. You’ll enjoy meeting the gang.